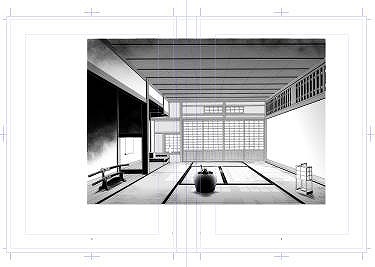 In the Manga Materials, we create background materials with customize elements according to various drawing styles. 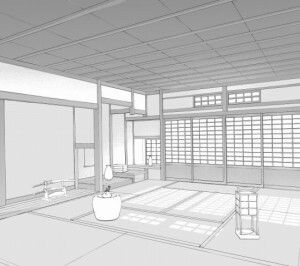 We will tell you how to use the material more smoothly and the characteristics of the background material along with Clip Studio Paint in this page. that you can just copy and paste very quickly. 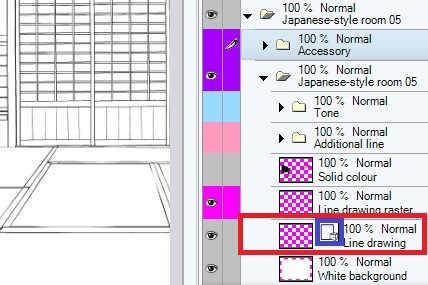 since the digital background can be divided into layers such as line drawing, beta(solid color) and tone. 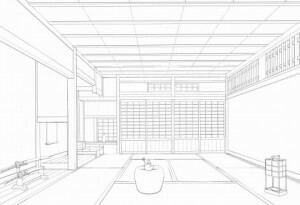 Line drawings are all vector layer, so it is possible to correct line width and scaling without degrade. 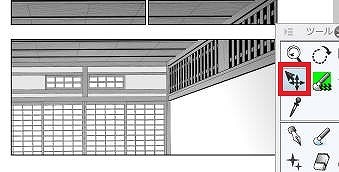 line drawing, beta (solid color), tone and additional lines. 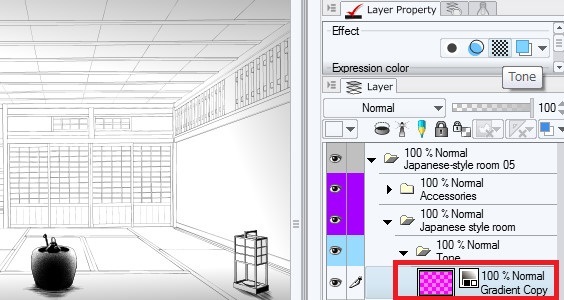 The background material of the Manga-Materials has a layer composition that can display and hide freely the finishing of some patterns. It is also possible to customize such as deleting unnecessary effects and adding your own touch. The material can be slide and fit in the frame. If operation is heavy, please refer to Reduce capacity and move smoothly. 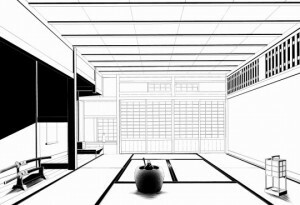 Line drawings are drawn with a vector layer. The line drawn on the vector layer can customize the thickness freely. 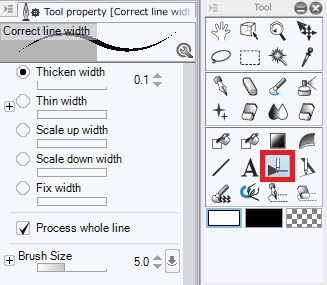 To adjust the line width, use the “Correct line” tool. Choose the desired effect from the tool properties. Here we select the effect of Thicken width with Process whole line. 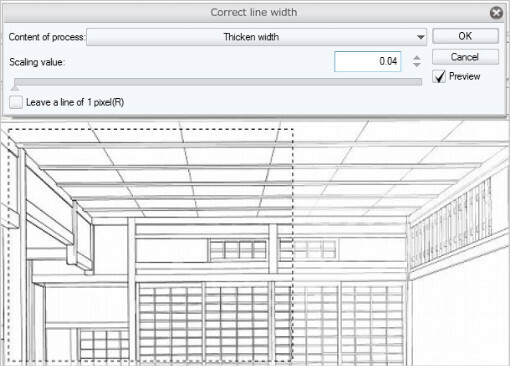 Use the “Correct line” tool to trace the corresponding line. The line width has changed. If this work is done separating the corresponding part, operation will be faster. For more details, please refer to the tips for scaling,transformation. 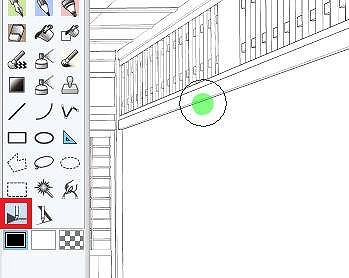 “Correct drawing line” of “Filter” are useful to correct the overall line width uniformly and quickly. 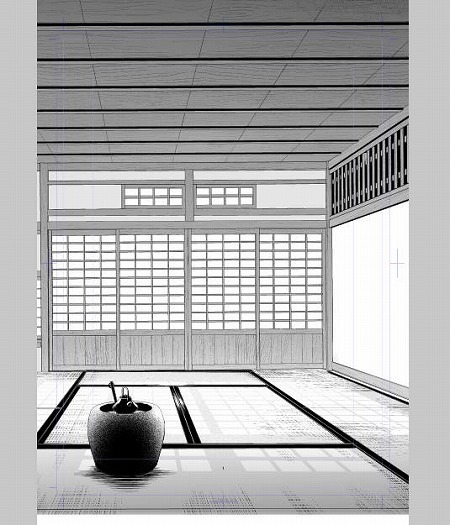 The Correct drawing line filter can be fine-tuned only with the raster layer. 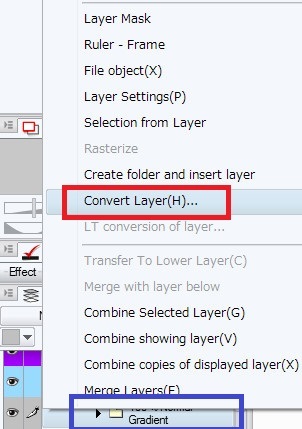 Convert layer from vector layer to raster layer. 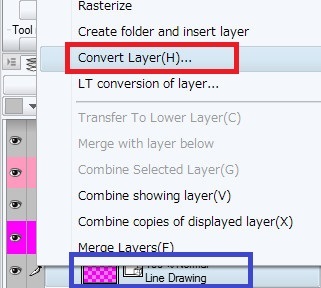 ※When converting to raster layer, the “Correct line” tool cannot be used. 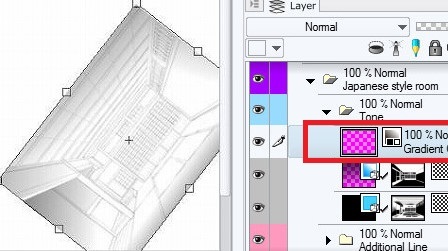 Duplicate the original layer before conversion to secure the drawing. Choose “Correct line width” from the Filter tab. 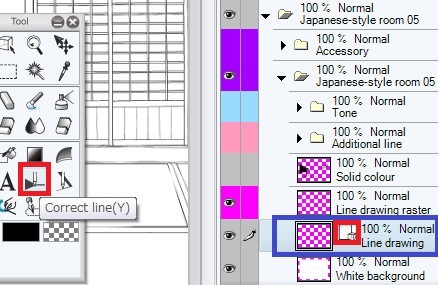 You can freely change the line width of the whole layer or the part surrounded by the selection area. The size’s number that using here are millimeter (not pixel). The gradation tone can change by the density according to your preference. 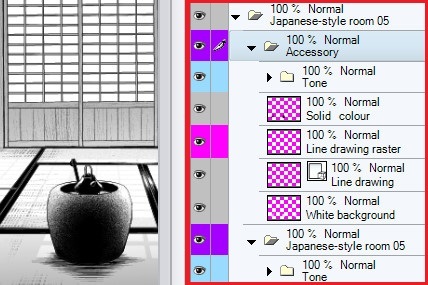 Select the gradation tone layer and click the operation tool (red frame), the operation bar (within the red circle) appears. You can adjust your choice by dragging the operation bar. In addition, you can make selection area by pressing Ctrl key while clicking the masking part (red frame) of the tone. 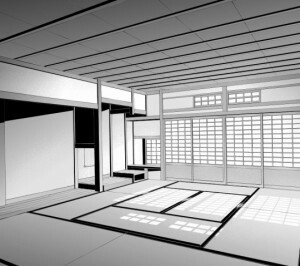 You can also use this to creat another tone what you prefer. The material is made in about 8000 x 5000 px 600 dpi size. Although versatility is high, there are also things with very heavy capacity. The figure below is the state that spread background on a B4 size. 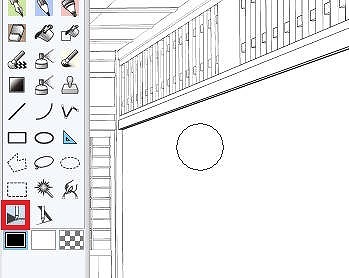 The vector layer of the line drawing does not degrade the line even if it is scaled. so if you transform the whole image it takes a long time. then please separate with cut + paste or copy + paste. Separating from whole image increases the operating speed of “Transformation”. ※Put attention for transformation of the gradation tone. The density and direction of the gradation tone are fixed. It will be changed funny as shown below by rotating or scale. To prevent this problem, press the tone button (red frame) to release each tone mode of the gradation. * This step is necessary to maintain the Number of screen frequency and angle of the tone. 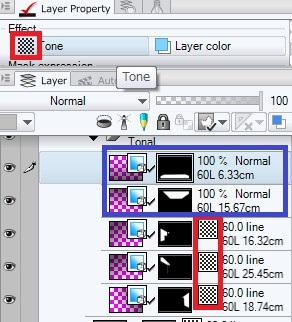 Right-click the folder and select Convert Layer after untone all gradation. ※All gradation are combined to one layer below. 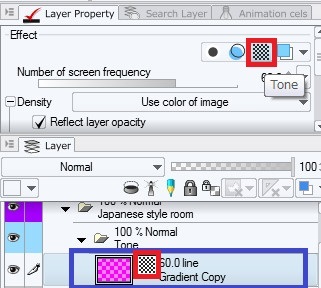 By making the layer to a gray layer, the original gradation direction and density are maintained even if rotated. 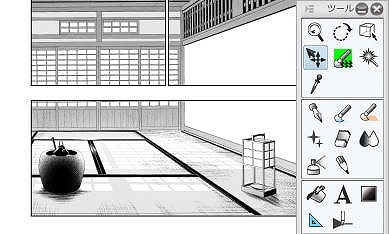 Once converting to a raster gray layer, you can not change the density even using operation tool. Also you cannot extract the selected area. After convert layer and rotated. It is done by pushing the tone button (red frame) again to tone it back again. It can be used for many purposes, but the capacity is very heavy. The image below is an example of imported to a B4 single page. It is spreaded on B4 size double-page. 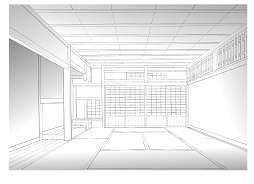 The cause of the heavy capacity is the vector layer of the line drawing. The vector layer is a layer that suitable for customization and scaling, but it is characterized by a heavy capacity. 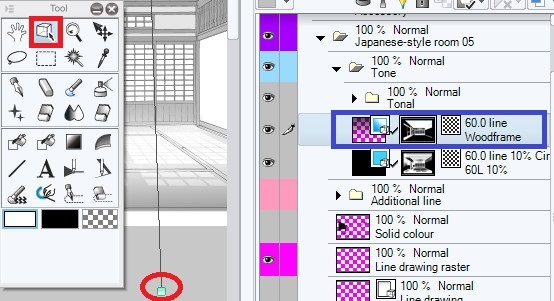 right-click the line drawing and select Convert Layer. 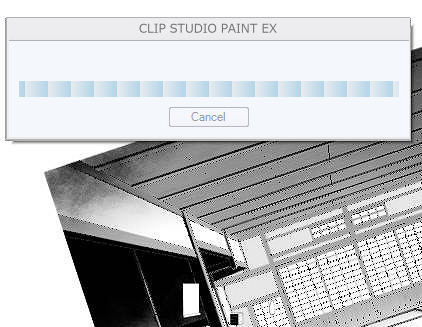 Select the raster layer from the pull down. 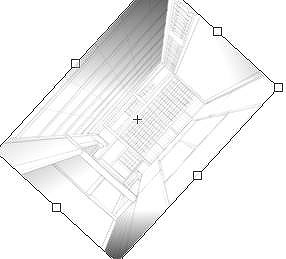 By converting to a raster layer the capacity will be considerably lighter. you can make the capacity even lighter by combine together. Press the tone button (red frame) to release tone mode of each gradation. ※This step is necessary to maintain the number of screen frequency. 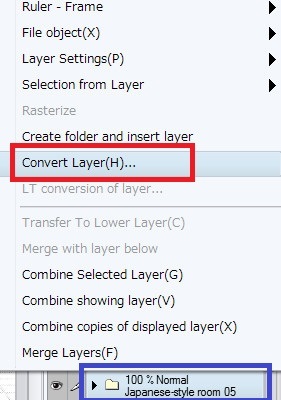 Right-click on the folder and click Convert Layer after untone all gradation. Select gray as expression color. Layers are grayed out and combined together. It is done by pressing the tone button again to tone it. Image manipulation and movement will be quite smooth by doing this work. Combine all in one raster layer to be the lightest capacity.